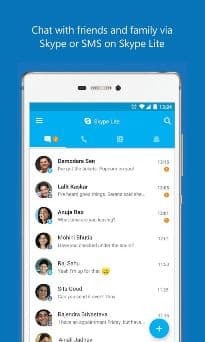 Microsoft-owned messaging platform Skype has not gained much traction in India because of many reasons. Some of the reasons are its complicated Skype Ids, greater data consumption and large install size. Apart from being used to make video calls for business purposes, Skype is yet to be the people’s communication tool like WhatsApp is right now. This situation could soon change with the launch of Skype Lite app for Android. Microsoft CEO Satya Nadella announced the launch of the Skype Lite app at the Future Decoded conference today in Mumbai. 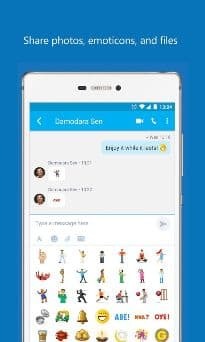 The Skype Lite app currently works on Android and is available for download at this link. 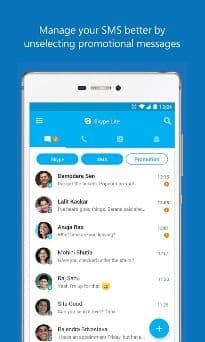 The Skype Lite app has been tailored to India needs considering the inconsistent internet data that most users have access to. 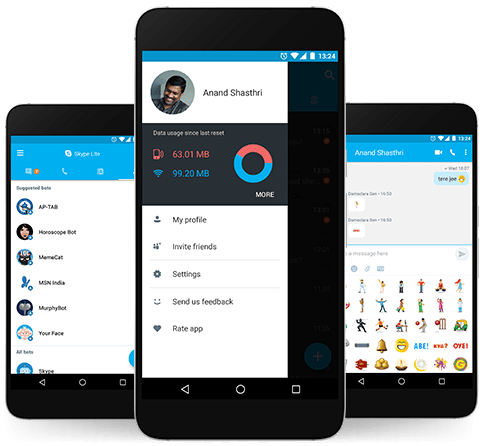 The Skype Lite app was built in India and thus takes into account the condition internet in the present time. The Skype Lite app delivers the same Skype performance without consuming more data and power. 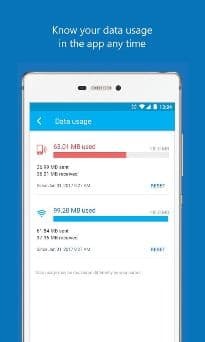 Users can use the Skype Lite app to monitor the data they have spent either on Wi-Fi or cellular. 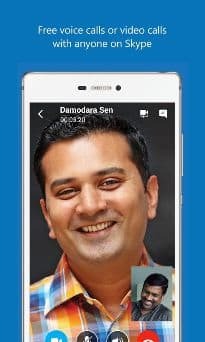 They can also use the Skype Lite app in seven local languages, Gujarati, Bengali, Hindi, Marathi, Tamil, Telugu and Urdu. 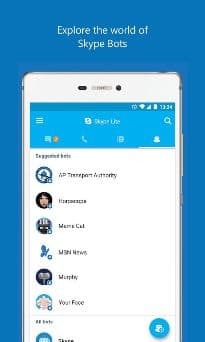 Apart from handling your Skype video and audio calls, the Skype Lite app includes services like promotional SMS filtering and access to India focused Skype bots. The Skype Lite app compresses large files such as photos and videos before sending them to save on mobile data. This compression also helps to reduce battery consumption, a problem associated with the full-fledged Skype app. The most important upcoming feature on the Skype Lite app is Aadhaar integration. You can associate you Aadhaar ID with your Skype profile so that other users can verify your credentials. This will come handy during job interviews, goods and property sale. The Skype Lite has received positive feedback from early bird users and will continue to improve based on feedback from users. They should have done it earlier. I think people are going to rely on WhatsApp video calls.